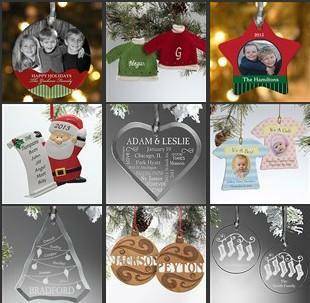 Personalized Christmas Ornaments 25% off! Home / Deals / Online Deals / Personalized Christmas Ornaments 25% off! If you are looking to make some Personalized Christmas Ornaments for someone on your holiday shopping list, you can currently save 25% off the huge selection you can find at Personalization Mall. You can find ornaments that fit just about every occasion, like new baby, couple’s first Christmas together and tons more. Head over and browse through the selection they have available and find one or more that fit someone on your shopping list. Shipping is FREE if you spend $65+ on your order. If you don’t have enough to reach the free shipping, call a friend or family member and place an order together! Be sure to take advantage of this offer and get 25% off your Personalized Christmas Ornaments! Hello Kitty Toy Deals | As low as $7.99 & Buy 2, Get 20% off!